If you do have time in-between flights to do some sightseeing or nightclubbing, you'll find beautiful Coral Gables only four miles away. 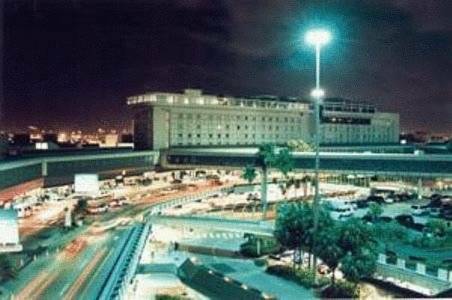 Plus, it's just seven miles to the Coconut Grove nightlife. South Beach is a little further away at nine miles. If shopping's your thing, the hotel offers a free shuttle to the nearby Dolphin Mall. Don't worry about noise. 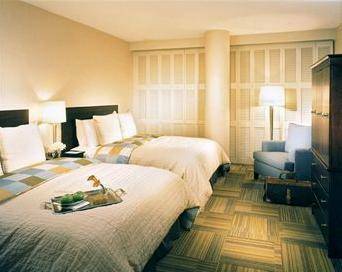 All 260 guestrooms are completely soundproofed. They feature pillowtop mattresses, satellite TV, wireless Internet (surcharge), in-room safes and marble bathrooms with rainfall showerheads. The lobby of the eight-story hotel has a great view of the concourse area. The hotel also has a hair salon, gift shop and shoeshine stand. 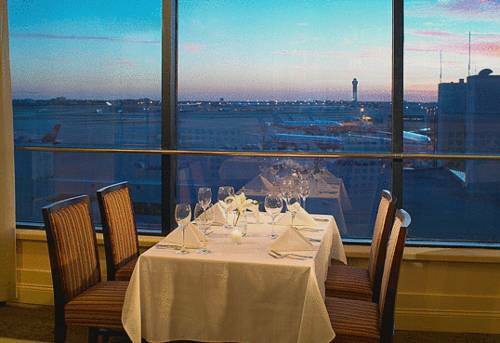 You can dine on seafood and watch the jets take off and land from the 7th-floor restaurant and lounge. Sushi is available for take-out. Priceline guests really like not having to go far to get to their plane when they stay at this hotel. Maybe you'll like that convenience, as well as the comfy rooms too.